Everyone who lives in a small apartment knows how difficult it can be too deep clean every crease and crevice. However, having a squeaky clean apartment isn’t important just for the aesthetics, it’s also very important for your health. If you’re not a cleaning aficionado (and who is? ), you can always turn to professionals for help, there are dozens of good companies, like cleaning services London that will be more than happy to jump in and save the day. 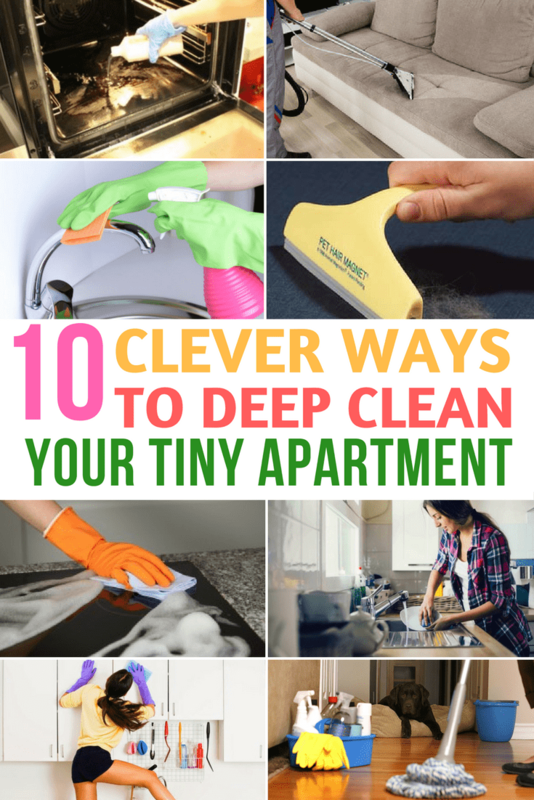 If you still like to do things on your own, here are 10 clever ways to deep clean your tiny apartment in no time. 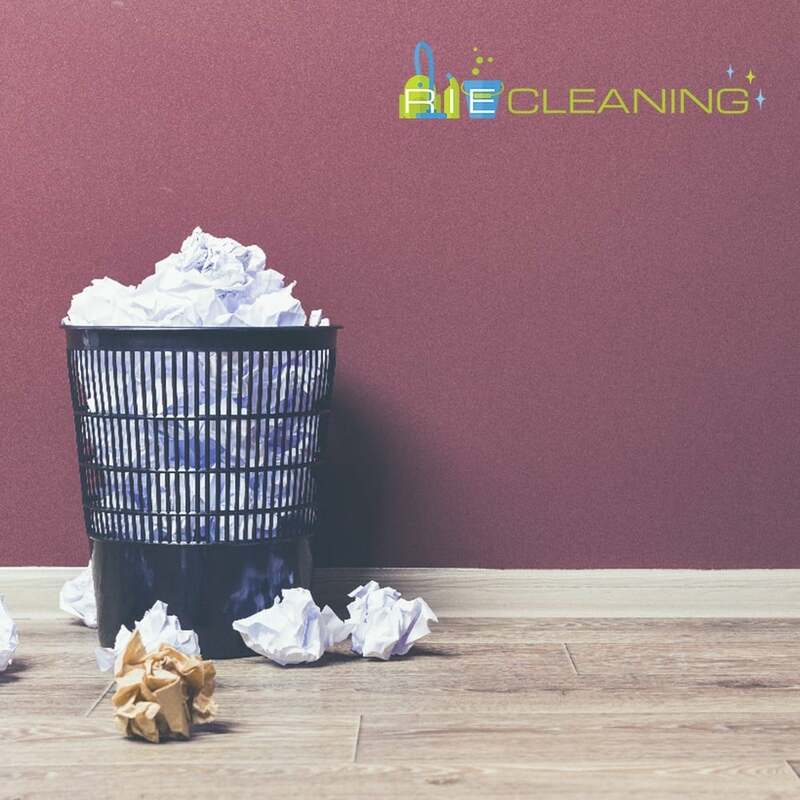 The best way to rein yourself in and do the dirty work is to designate one day each month for deep cleaning. Spend every last Saturday of the month getting your house in order and soon the chore will become a breeze since you’re doing it so often. Read reviews of laminate tile floor vacuums to get the best result of cleaning your floor. Here’s a homemade cleaner that will make the whole ordeal of cleaning your oven much easier – mix 4 oz. of lemon juice, 2 oz. of dish soap, 8 oz. of white vinegar (sizzle!) and 10 oz. of water. The result will be a paste which you should generously smear all over your oven and let it sit for 3 or more hours. After that, wipe all the grease and grime and your oven makeover is done. Even though it doesn’t look like it, your couch is a magnet for all kinds of bacteria and dirt. To refresh it, you need some rubbing alcohol, a spray bottle, and a sponge. Generously spray alcohol over the couch surface (especially where there are stains) and scrub, scrub, scrub until you’re satisfied with the results. If you’ve got a lot of stainless surfaces in your small apartment, you know they’re not easy to polish to perfection. The best solution for having flawless looking stainless steel in your home is to clean it with Pledge. The results are momentary. All you need is distilled white vinegar, a Ziploc bag, and an elastic hear tie. Pour a cup of vinegar into the bag, pop the shower head in or put it on a faucet that needs cleaning, tie the bag with the elastic and let it sit overnight. In the morning, everything will be perfectly clean. This is by far the simplest way to get rid of all those pesky hairs of your furniture and clothes. Put on a rubber glove, make sure it’s wet and diligently rub over the surface you want to clean. It’s much quicker and easier than using those lint rollers, which don’t necessarily do the trick. Though there are many ways to get a clean screen, there are usually smudges as the aftermath of the cleaning process. The easy way to avoid this is to go over the screen with coffee filters to get rid of the dust and any annoying fingerprints. Whip out your cleaning rag and baking soda to clean your glass cooktop to perfection. Take your rag, dip it in some warm water with a bit of dish soap, put the baking soda all over the glass cooktop and then lay the rag over it. Wait for about fifteen minutes, after which you can wipe the cooktop clean and admire its shine. This simple hack involves mixing equal parts of water and white vinegar, putting a sock on your hand and then wiping blinds one at a time. It might be a bit time to consume, but it works like a charm and you don’t have to use any chemicals. Just because they hold trash doesn’t mean they don’t need a scrubbing every now and then. It’s simple enough – put the bin in your bathtub, get your favorite cleaning product out i.e. Bissell Powerforce vacuum for cleaning any space, get rid of all the dirt, rinse, and let it dry. Don’t forget to clean the bathtub afterward. As you can see, deep cleaning your tiny apartment might not be too much fun, but it can be simple and effective with these hacks and tricks.